The Facial was relaxing and superb, with ingredients like oatmeal, pure cocoa powder, almond oil and fresh cream, it smelt so good I wanted to eat my own face. The facial left my skin feeling super soft and so incredibly clean and glowy.. I even did the school run with no makeup which I never do! 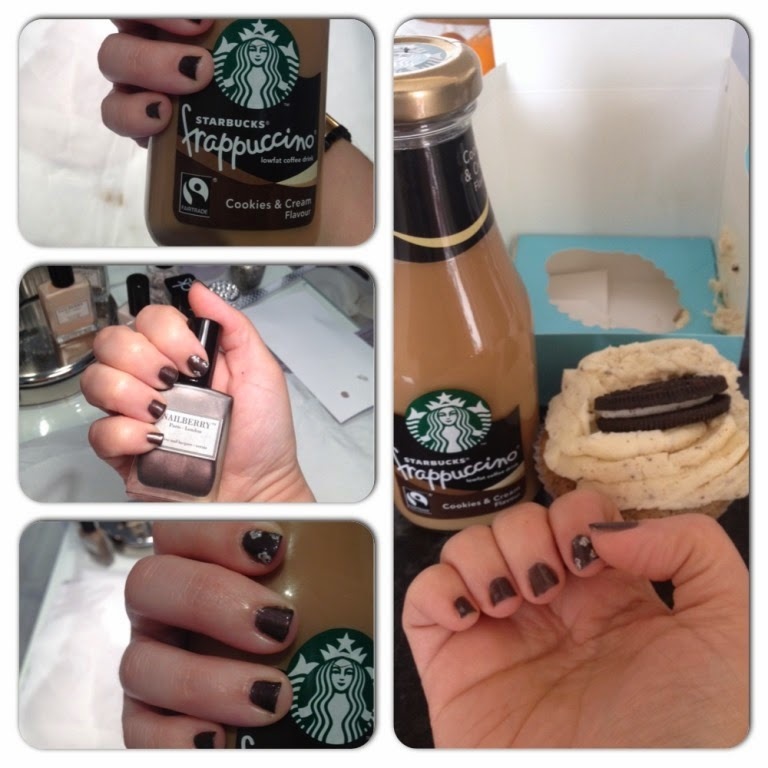 The Manicure featured a sugar and vanilla hand scrub with almond oil and Vitamin E followed by Nailberry's Iced Mocha polish and a bit of nail art with flecks of silver and black to represent the cookies and cream of the new drink.. Pretty! As for the new drink.. well I am already a fan of the Starbucks Bottled Vanilla Frappuccino that features 100% Arabica espresso roast coffee that you find instore and this is now another firm fave! It is a delicious sweet, coffee drink with the taste of cookies and cream that is the perfect weekly treat.